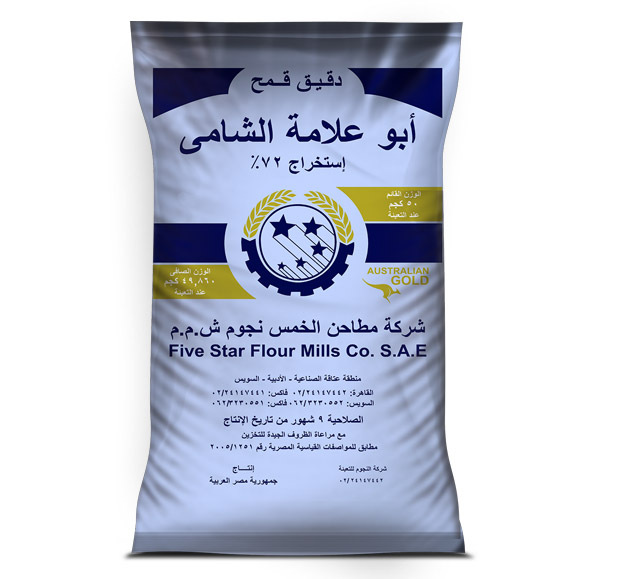 Our top quality flour featuring high protein, gluten and balanced characteristics. It is mainly used in modern industrial bakeries for producing high quality and long shelf life products. 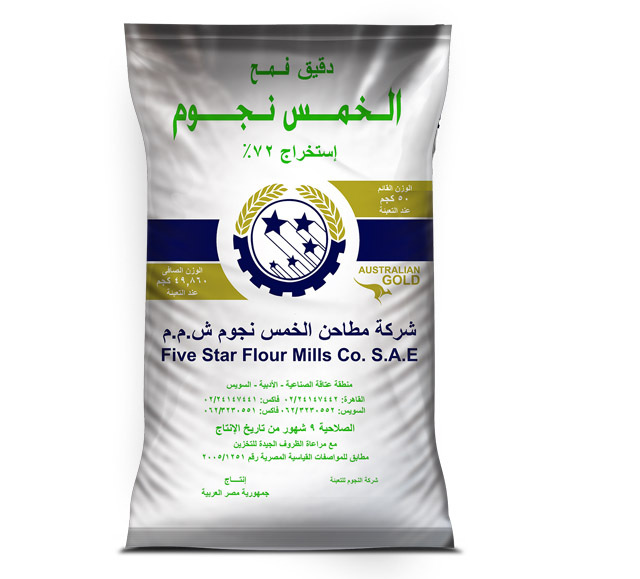 All-purpose high quality and highly productive flour used for all types of baking that need high protein and strong gluten. 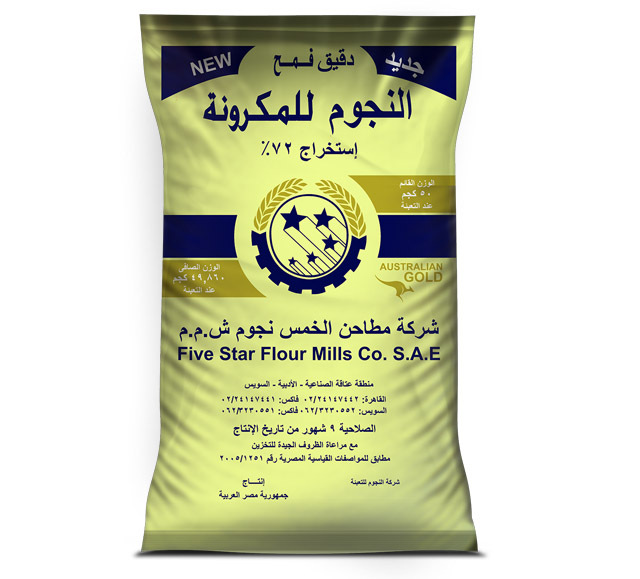 Specialized flour with very good quality featuring adequate protein and gluten perfectly suited for Lebanese and Shami bread and other pastries. 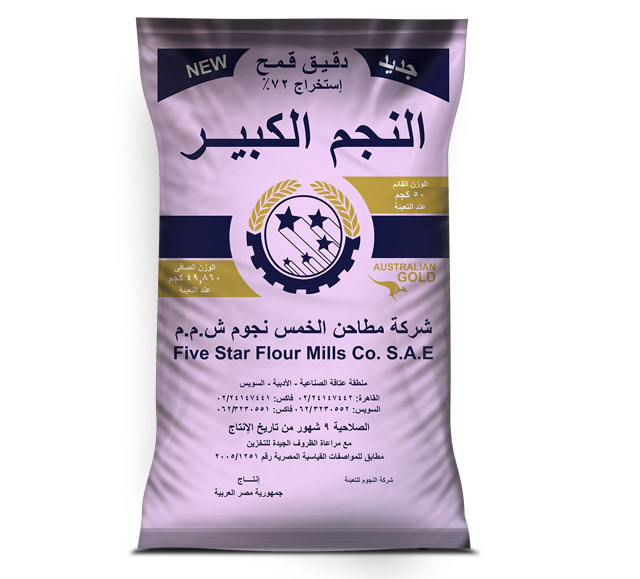 Multipurpose affordable good quality flour that can be used in various types of baked products. 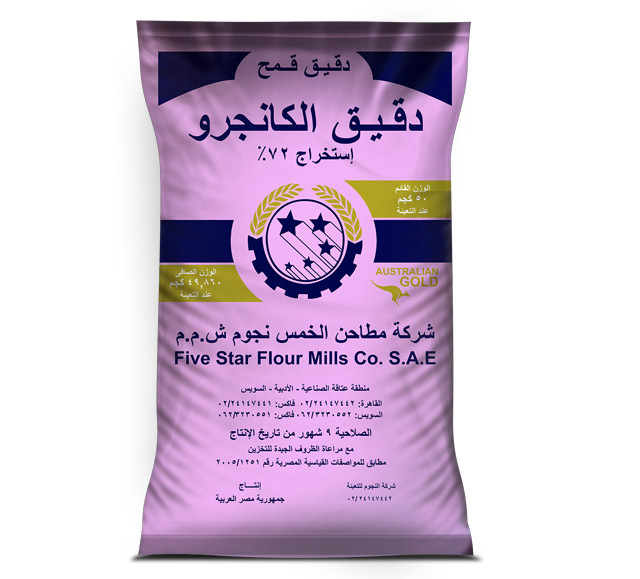 A high quality flour which is suitable for biscuit and wafer production. 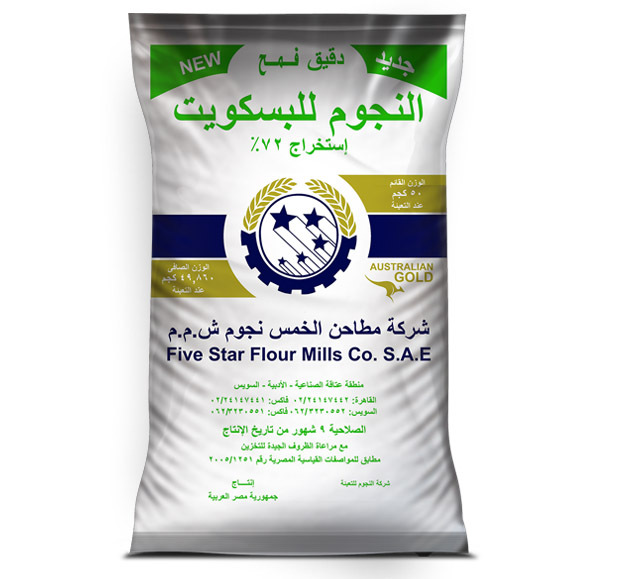 a Very good quality flour for producing all pasta types made from wheat flour. 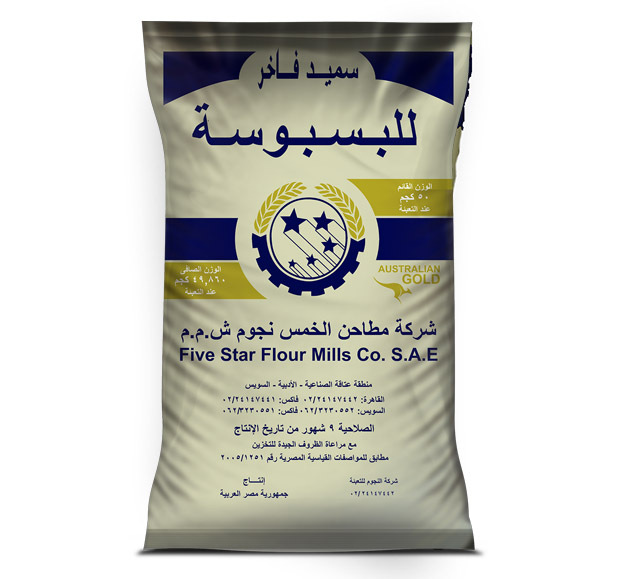 a very good quality flour that can be used in various baking application especially European baked products. 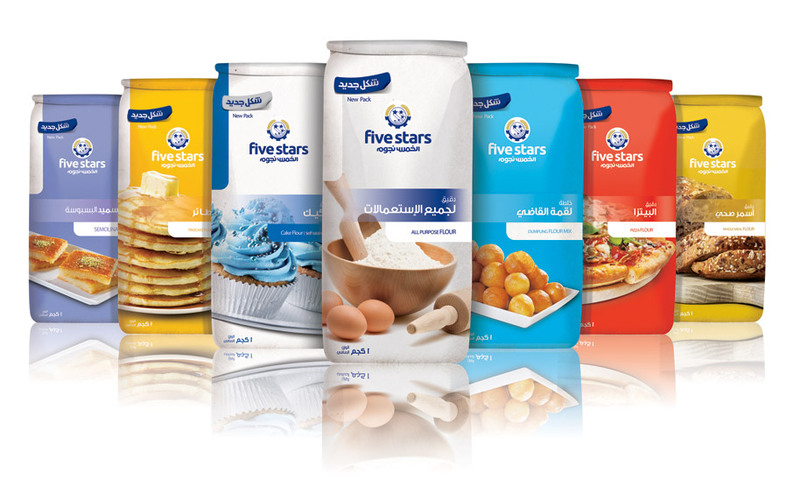 Five Star Flour Mills produces coarse and fine excellent quality semolina. It is mainly used for producing oriental sweets.